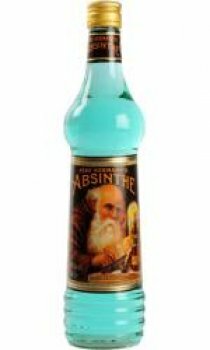 The label has a picture of a distinguished monk-like character, who has written in an open book the following: My absinthe is a tonic and digestive (translated). The label sports the curious phrase "spiriteux aux extraits de plantes d'absinthe". Also appearing on the label is the inscription, "With a healthy morals and a rational hygiene the man dies only of old age". This is my second favourite Absinthe that I have tried. First would be Sebor but I found this one quite easy to get along with. A good party drink but as with all Absinthe it should not be over done. Would rate this 8/10. I'm an owner of a bar here in Davao City - Philippines the name is Davao's house of absinthe -- and I can say and attest that this pere kermanss rocks -- It makes girls want for more and guys look for more--this is the only brand we carry-and business is doing good--- we have a saying here, that if you drink absinthes guys get it and girls gets horny!